What else do we have to be aware of besides knowing that eating fresh fruits, vegetables and lean meat is the healthier choices to take? To figure out what type of food is really healthy is made confusing by conflicting nutrition information we get from the media and well intended advice from our friends, family and colleagues. We sometimes change our diet to include certain foods that are claimed to be healthy for our body, but in reality some of these foods should not be consumed if you really want to stay healthy. 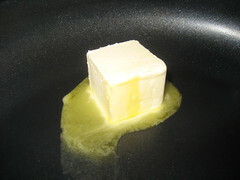 More likely than not, you know that you should not consume hydrogenated margarine because it contains harmful trans fat, but people are led to believe that vegetable oils and margarines are healthy substitute for saturated fats. According to the October 2002 issue of Biomedicine and Pharmacotherapy, the rise in incidents of cancers, heart attacks and inflammatory diseases such as rheumatoid arthritis may be linked to the consumption of foods containing high omega-6. Of course, some of these choices might be high in saturated fats, you can consume them without having to worry about your heart health. This is according to the "American Journal of Clinical Nutrition" that did a rigorous meta-analysis published in January 2010. For a quick start and meal to the morning, we may grab a bowl of cereals. The majority of breakfast cereals are claimed to be healthy because of the low sugar and low fat content. Some manufacturers even bang on the benefits of whole grains in their products. The fact is that most breakfast cereals which also includes the low sugar types such as corn flakes, puffed rice, puffed wheat, oat rings, bran flakes and instant oatmeal, are rapidly converted into sugar by our bodies and this in turn can cause our blood sugar levels to rise up very fast because of the high glycemic index. Therefore, to prevent this from happening, try eating porridge made with steel cut oatmeal, bran, millet or quinoa. You may even take a satisfying egg based breakfast. We perceive Tofu and soy-based foods to be healthy foods but here's the bad news. These foods have been found to contain antinutrients and it may disrupt the proper absorption of iron, protein, and other minerals. Soy posesseses phytoestrogens which can also hinder the proper functioning of your hormones and has been linked to infertility and breast cancer. In addition, it has the potential to interfere with the function of your thyroid gland. This is according to the findings of nutrition pioneer Dr. Weston Price of Weston A. Price Foundation, a nonprofit charity group. 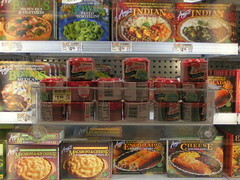 We may think that frozen entrees are a healthy and convenient food because they are calorie-controlled and low-fat. But do you know that, they are highly processed and loaded with artificial flavors and coloring, preservatives and sodium? Such foods have very low fiber-rich vegetables and protein. Consuming a low-fat frozen entree for lunch can actually make you feel hungrier a few hours later, and makes you run to the vending machine mid-afternoon. To overcome this problem, you can prepare extra servings the night before and have a healthy leftovers for lunch. Include at least 1 to 2 servings of vegetables, a minimum of 3 to 4 oz. of protein such as chicken or fish. And by adding healthy fats from olive oil, butter, avocado, coconut oil or nuts, you will have a complete nutritious meal to keep you feeling full and longer. Drinking water on shorter intervals will help too. The sweetness makes your brain expect some real sugar, but then when it never comes you are not satiated and this may result in you craving for more food. If you eat sugar-free yogurts and other sugar-free products, it can actually lead to overeating later in the day. Instead eat homemade yogurt to really satisfy your hunger. Look for a yogurt that contains at least 2 percent milk fat. The fat will help trick your brain to feel fuller and because it makes the yogurt have a smoother consistency, it will satisfy your appetite. Opt for plain yogurt that will keep your sugar intake low. By adding fresh fruits, you can have some sweetness. My next topic for discussion is, "How To Make Easy Homemade Yogurt." these foods, you should be skipping. It's time to change your game. It's not really what they claim.